Getting an oriental rug is certainly not the cheapest way of covering your floor. 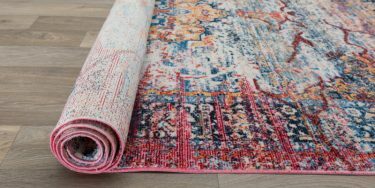 These rugs, because of the time it takes to make them, the effort that goes into their craftsmanship, and how far they often have to travel to reach the showroom, come at a premium cost. The best way to get an inexpensive “oriental” rug is to grab a fake one, but if you want the real thing, there are still ways to get one that costs less while still making sure you have an authentic oriental rug.Of What Was the Rug Made? 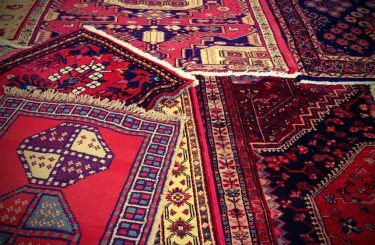 What Makes an Oriental Rug Real? A real oriental rug is made in the region classified as the orient. This covers the areas of China, Tibet, Turkey, Iran, India and Pakistan. They are either pile woven or flat woven. Also, loop weaving is used to make oriental rugs. If a rug comes from these areas and uses the oriental rug weaving techniques, it is an oriental rug. Otherwise, it is fake. 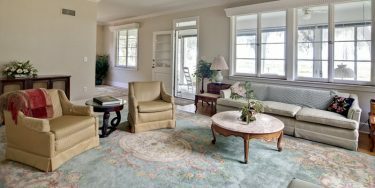 Granted, a rug can still be beautiful, and you can fall in love with it, but if you want the real thing, you will have to seek out authentic oriental rugs. It’s similar to sparkling white wine versus Champagne. Sparkling white wine can be delicious, but only if it’s made in Champagne, France can it be called “Champagne.” That said, here are some ways to get your hands on real—and stylish—oriental rugs for less money. Mashad/Ardekan rugs are characterized by attractive, angular designs, with intricate, detailed shapes. They are crafted out of medium grade wool and are made in Iran. 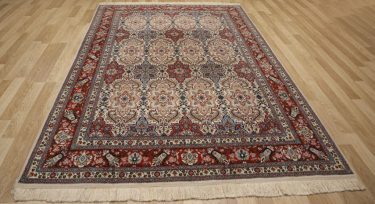 They have similar design components as other oriental rugs but with a smaller price tag. You can get a 6’ by 10’ Mashad rug for a little over $1,000 if you shop around a bit. Jaldar rugs are usually made in Pakistan. They don’t cost a lot to make, and the savings gets passed on to you, the end user. Jaldar rugs are still made by hand using the detailed knotting system oriental rugs are known for, but they won’t impact your wallet quite as badly as others. 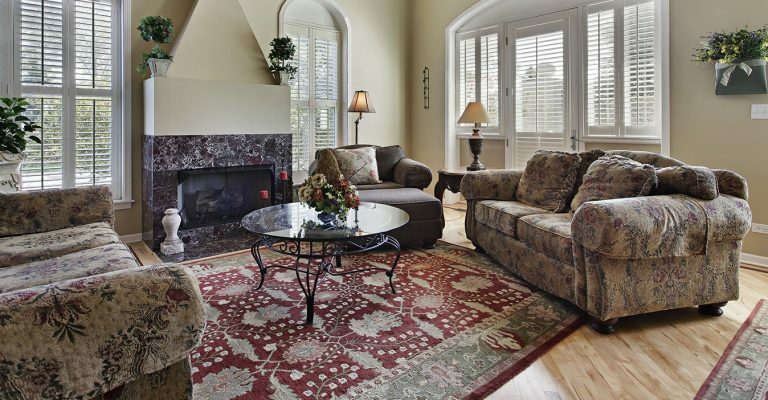 The price range for these rugs is an inexpensive $3 to $15 per square foot. Gabbeh rugs are typically quite different from traditional oriental rugs. Their designs often veer away from the symmetrical, geometric style or even the floral depictions typical of oriental rugs. They can have fun scenes or even contain a narrative. And some do stick more closely to traditional oriental design movements. These rugs perhaps give you the most versatility of style, and their prices can be as low as $7 per square foot.